­Up on Observatory Mesa, nestled above downtown Flagstaff in the Rio de Flag Watershed, Matt Millar monitors the progress of the Flagstaff Watershed Protection Project’s forest thinning operations. 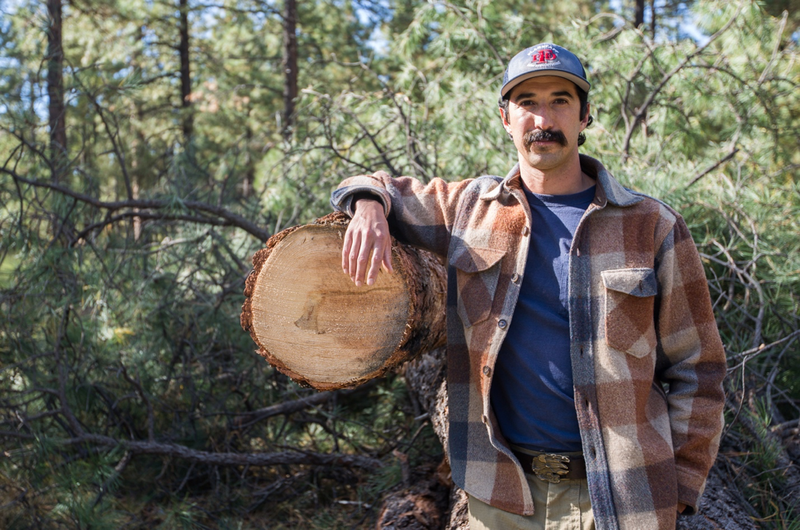 He picks up a small, splintered piece of timber from the ground that he estimates came from a 100-year-old ponderosa pine based on the tree rings in the stump left behind. He lifts the sap-soaked kindling to his nose, breaths in deeply and exhales. He says the sap makes for good fire starter. 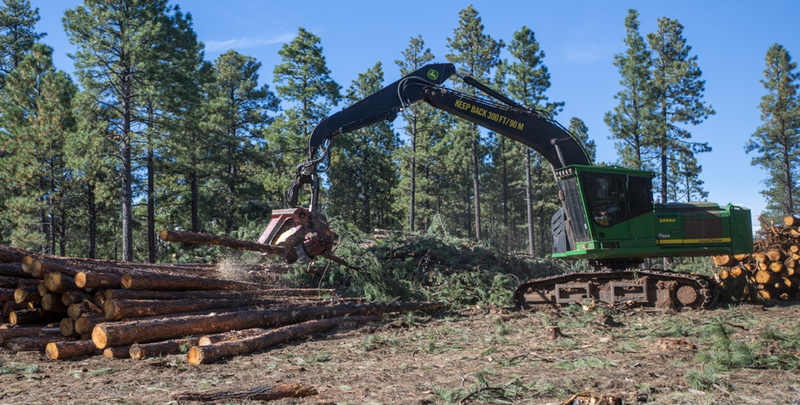 Millar is the operations specialist for the Flagstaff Watershed Protection Project (FWPP), a forest restoration program aimed at reducing the risk of high severity fires and the flooding normally associated with those fires. The program was funded by a municipal bond totaling 10 million dollars in 2012. With the 2010 Schultz Fire still fresh in the minds of voters, the bond passed by a landslide with three quarters of the vote. According to Millar, the average density of forests found in northern Arizona in the late 1800s was 20 to 50 trees per acre. Now, over 100 years later, there are some places that have densities upward of 200 to 300 trees per acre. The 2010 Schultz Fire consumed 15,000 acres of forested land leading to the evacuation of hundreds of homes. The estimated costs incurred by the city, county, state and federal government was nearly $60 million. Anne Mottek, the coordinator for the Greater Flagstaff Forest Partnership (GFFP), says that a lot of the structural damages weren’t from the fire, but from the flooding that came after. In 2014, Northern Arizona University’s WA Franke College of Business put together a cost avoidance study of the possible damage that could be incurred from a fire of the same magnitude as the Schultz Fire. The study estimated that a fire in the Dry Lake Hills and Mormon Mountain regions would take city, county, state and federal funding totaling a low estimate of 573 million dollars a high estimate of 1,201 million. The estimated costs included, “suppression, post-fire rehabilitation, evacuation and repair costs.” A 10-million-dollar investment into mitigating these future costs seems paltry in comparison. Mottek attributes the success of the FWPP to local organizations and authorities prioritizing community education on the health of their forests. Millar, who studied psychology as an undergraduate, feels that to succeed in affecting environmental policy you have to get the right information into the hands of the community. “I was really interested in the way people made decisions based on the information that they had and the way that information was framed,” said Millar. Fighting fire is not new to Millar. He has spent the last six fire seasons with the National Forest Service as a Wildland Firefighter suppressing fires, carrying out prescribed burns and managing backcountry lightning fires.